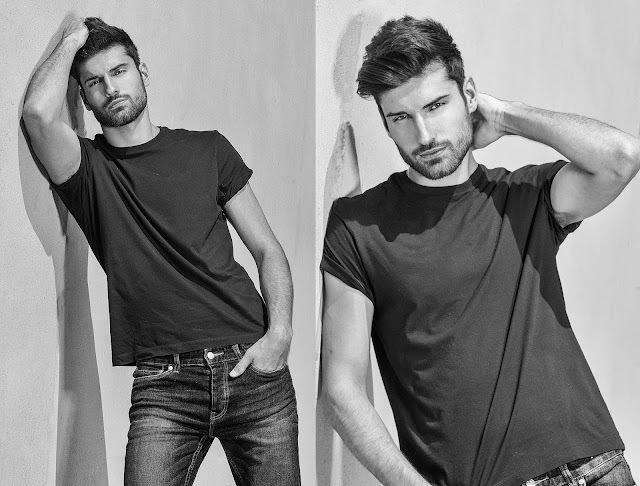 Last week I had a good time shooting model Eli (Shok Models Toronto) who I shot before. The location was Radison Admiral Hotel in Harbourfront Toronto. Photo 1& 2 – stripe suit by Red Valentino, stripe dress shirt by Hugo by Hugo Boss, bow tie by Hugo Boss, boxer short by Tommy Hilfiger.Jil Sander cotton silk cardigan, photo (L-3) red polo shirt by DSquared2, Superman underwear from H&M, photo (R-4) Versace Jean Couture cotton linen blazer, Calvin Klein Steel boxer brief, photo 5 – Ben Sherman cotton stripe blazer, Eli Tahari paisley short, scarves from H&M.